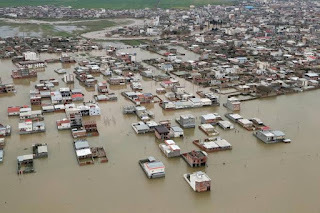 Saturday saw more towns and villages threatened by flood evacuated in Iran as more rain fall seems to be on the horizon in the southwest part of the country according to weather forecasts, state television reported, as flooding death toll reached 70. "An evacuation order has been issued and we are recommending women and children to leave but we are asking the men and youth to stay and help us" the provincial governor, Gholamreza Shariati, told state TV. At least 70 people have been killed, the head of the country's emergency services, Pirhossein Koulivand, told the state news agency IRNA. Iran's financial condition is already stretched due to sanction by U.S on energy and banking sectors that have halved its oil exports and restricted access to some revenues abroad. Estimated 1,000 people have been airlifted by emergency helicopters to safety in recent days. The head of Iran's elite Revolutionary Guards reiterated that the armed forces "were using all their power" to minimise damages in Khuzestan. 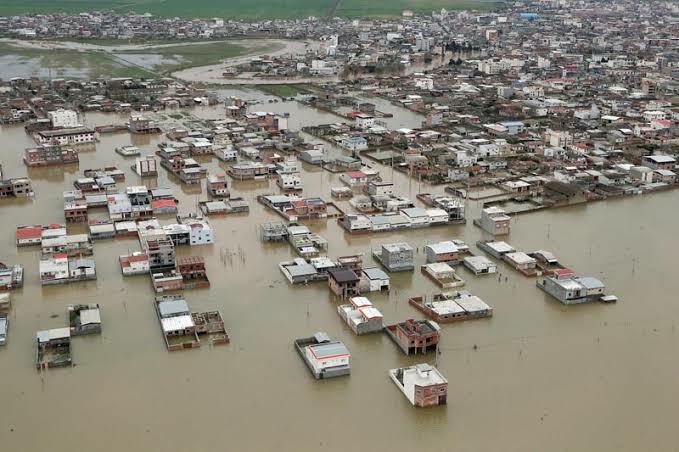 Iranian drilling companies and other energy firms have been assisting rescue efforts in flooded areas, using pumps to remove water.